Fortune’s Blight, Evie Manieri’s 2nd book in her Shattered Kingdoms series, just came out, and courtesy of the lovely folks at Tor, I have 3 sets of both Blood’s Pride AND Fortune’s Blight to give away to one lucky winner. So, check out the books, fill out the widget, and good luck! 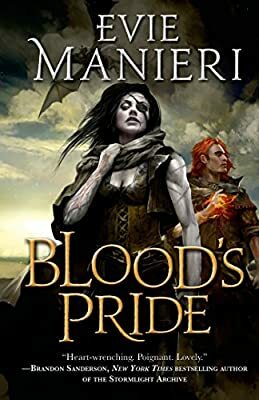 Evie Manieri’s Blood’s Pride is the first book of The Shattered Kingdoms, an engaging, action-packed, and “highly imaginative” (Kirkus Reviews) series of fantasy novels with epic scope and “the perfect mix of romance, family ties, betrayals, and agonizing dilemmas” (RT Book Reviews). 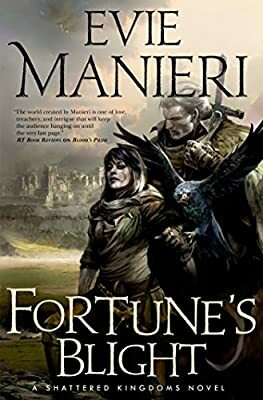 Fortune’s Blight by Evie Manieri continues the conflict begun in Blood’s Pride. Victory for the Shadari rebels has come at a terrible price. Hardship, superstition, and petty feuds poison King Daryan’s young reign, and entire families are vanishing without a trace. Help is nowhere to be found, for their Nomas allies have troubles of their own and the Mongrel, plagued by the sins of her violent past, has disappeared. While Daryan struggles to maintain the peace, Eofar and Rho are racing to their northern homeland to plead—or fight—for the Shadar’s independence. But Norland has changed, and they soon find themselves embroiled in the court politics of an empire about to implode. Meanwhile, the Mongrel’s path carries her deep into Norland’s frozen wastes to redeem a promise—one that forces her into the heart of the growing conflict. bloods pride, evie manieri, Fortune's Blight, giveaway.